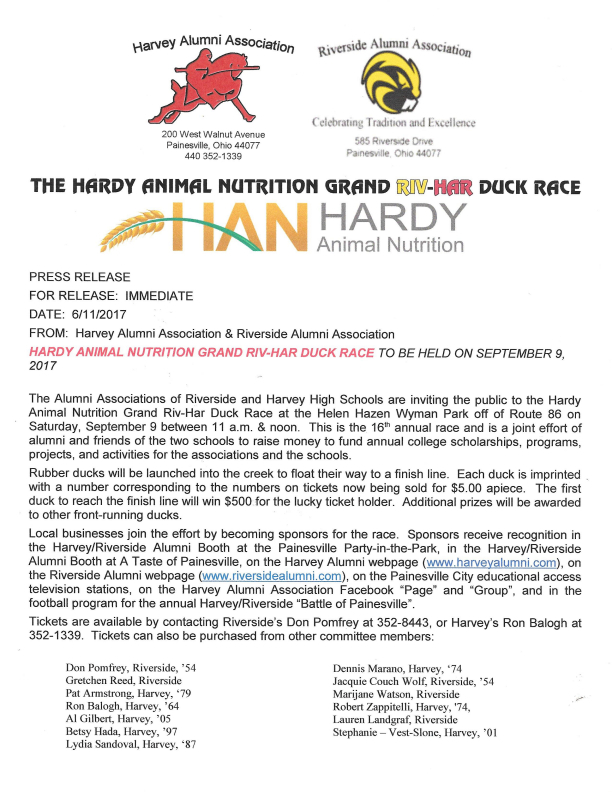 The Annual Grand Riv-Har Duck race is a really fun way to raise funds for both the Riverside and Harvey Alumni Associations. The annual race is held at Helen Hazen Wyman Park the Saturday morning after the Riverside – Harvey Football game each fall. Festivities start at 11 AM. Thousands of dollars in scholarships to graduates of both schools have already been awarded because of this fundraiser. You can help in other and bigger ways. Consider being a Duck Race Sponsor. Download and fill out your sponsor Form here.